CM: What were some of the highlights for National Pronto in 2018? BM: 2018 was an exciting year for the Pronto group. In a year of extraordinary change within our industry, the majority of our members were able to survive and thrive in a challenging business environment. Sales growth was solid among our membership in 2018, and we expect that to continue into 2019. Our Automotive Parts Services Group partnership with Federated Auto Parts continues to pay dividends for our customers, vendor partners and members alike. We saw significant growth in our Pronto Auto Service Center and Auto Care Experts programs from our independent service-center customers. We invested heavily into our data-warehouse and cataloging initiatives and continued to expand on our national-account partnerships. CM: What does National Pronto have planned for 2019? BM: Survival of the independent automotive warehouse distributor continues to be more and more challenging as consumers change their buying behavior. Major retail chains and internet retailers have redefined the landscape of the aftermarket. As a wholesale-focused group, our independent distributors have recognized the threats associated with these competitors and are focused on a few key areas for 2019. Increasing our independent service-center banner shop engagement and continued growth into the national-account program segments are highest on our priority list. Individually, many Pronto members have aggressive growth strategies as well as plans to invest in infrastructure to help facilitate long-term survival. Parts proliferation and inventory growth continue to be a major influencer in our distributors’ strategic planning. Our category-management and inventory-modeling tools should help keep Pronto members ahead of the curve when dealing with these important financial and service-level measurables. Continued collaboration with our Federated Auto Parts partners on the Automotive Parts Services Group (APSG) also will help to ensure the future success of our members. Major 2019 enhancements to our Group Training Academy platform should bring significant improvements to both our service-dealer customers and our members. Our members continue to adopt our Grouplink catalog, allowing for enhanced parts-information lookup and sales opportunities. We are excited about the future of APSG and all the enhanced opportunities it affords both the Pronto and Federated members. BM: We are optimistic about what the future holds for the automotive aftermarket in 2019 and beyond. The professional service sector (DIFM) continues to show above-average growth as new car technology becomes more and more complex. 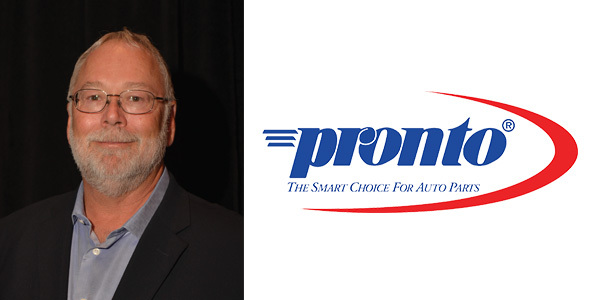 Pronto has long positioned itself to focus on this segment, with programs for both national accounts and the independent service center. Our strategy of providing premium, name-brand products and industry-leading marketing and training programs will continue to allow us to remain relevant for these customers. The need for qualified automotive technicians and service centers will continue to grow. This growth should trigger additional demand for our distributor members with the parts and services they provide. Ultimately, vendors, distributors and service providers should all see continued growth in the automotive aftermarket. CM: What are some of the macroeconomic and/or regulatory issues that could have an impact on your members in 2019? BM: Obviously, one of the biggest factors we face at the beginning of the new year is the financial impact that the proposed tariffs may have on business in 2019. Our ability to understand, evaluate and keep ahead of these fast-paced changes will be imperative to our success throughout the year. Having access to vehicle repair data as vehicle technology evolves remains another primary concern at Pronto HQ. The aftermarket must continue to invest the necessary time and capital to ensure that our voice is heard in Washington, D.C. Supporting the Auto Care Association Political Action Committee at every level of our business can help to keep our message at the forefront of our political leaders today and tomorrow.